Luggage Wrapper is designed to wrap luggage and related items for security purpose in airport setting. Film provides extra support while the luggage is being transport to protect them from being damaged. The operator places the luggage on the platform and adjusts vertical rods to secure bag according the luggage`s size. 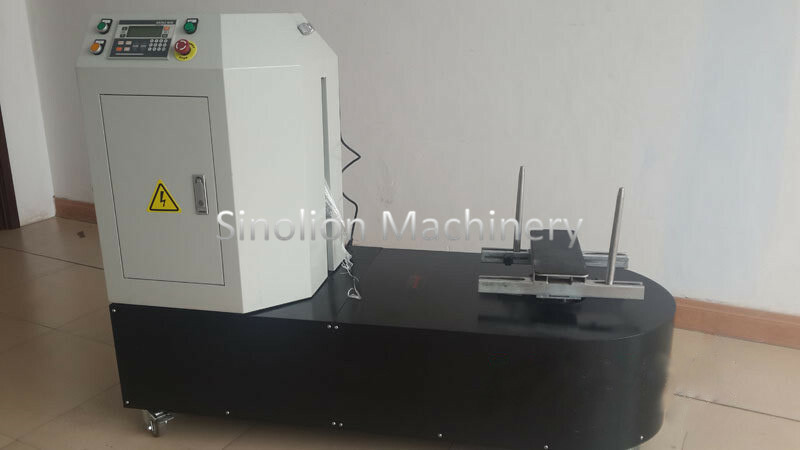 Then begin the wrap process, the operator press start button on control panel pack the luggage by a 3 to 5 layers of stretch film. The operator cuts film tail and removes from the Turntable. The machine is ready to accommodate the next piece of luggage. Looking for ideal Luggage Wrapping Machine Manufacturer & supplier ? We have a wide selection at great prices to help you get creative. All the Baggage Wrapping Machine are quality guaranteed. We are China Origin Factory of Luggage Packing Machine. If you have any question, please feel free to contact us.